The next generation of iKon2 Flybarless systems is here! Featuring 6 different hardware versions optimized for different applications, and robust enough to work in any setup from 180 to 900mm size models. Additionally iKon2 still utilizes proven flight performance that was on iKon1, including Nitro and Electric Governor, and vast support for various model types. Additionally configurability on iKon2 is identical to iKon1 in that you can use PC Application, iPhone, or Android devices. 4x the performance, 4x storage, hardware acceleration. Ready for years of feature enhancements. Troubleshooting mechanical problems has never been easier. iKon2 can play back your entire flight showing you vibrations as the model moves through maneuvers. This gives you a greater understanding of the health of the model and points you to the motor, head, or tail sections. Vibration logging can save endless hours of trial and error searching and give you peace of mind that the model is in good health. iKon2 takes logging and data collection to a new level of capability. Record up to 10 parameters for each flight and download them later for review. 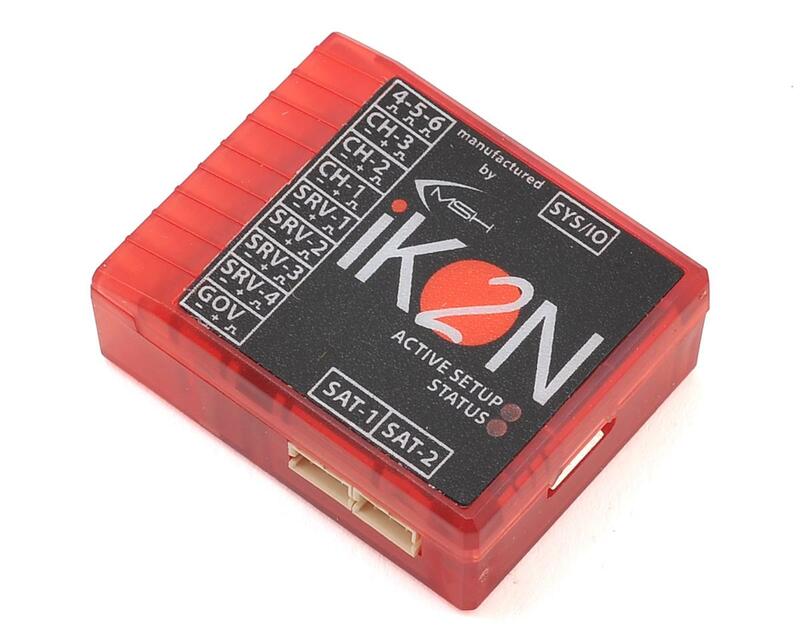 iKon2 provides access to all the critical data parameters visible to the flybarless unit. Some examples include: Voltage, receiver packets, throttle out, RPM, vibration, TX inputs, aileron/elevator rates, tail rate, pitch and more. This information is incredibly useful for tuning governors on nitro or electric, verifying that your BEC or Rx LiPo is performing how you expect, checking if your radio is working well, seeing the real roll/flip/piro rates, etc. The logging memory capacity is large enough to hold several flights of information so after a flying session, you can always download the logs for viewing later, or for sharing with other users. The iKon2 rescue feature saves the model from any orientation, stabilizing it into a hover and adding pitch to avoid impact with the ground. This is an amazing tool for beginners or those working on new maneuvers where there is a higher risk of loss of orientation and control. 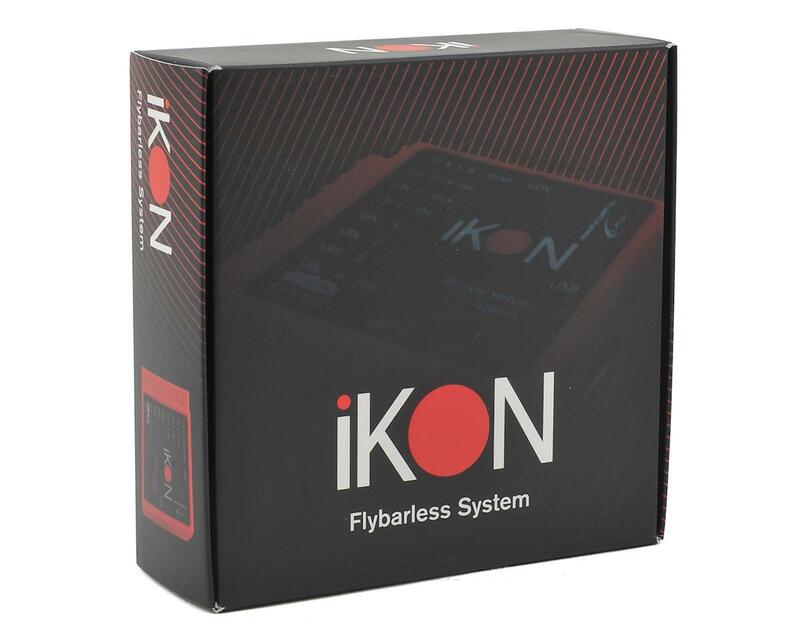 Ditch your laptop and use the iPhone or Android application to configure your iKon2 flybarless system. Have instant easy access to the entire system at the field or on the bench to quickly change parameters. 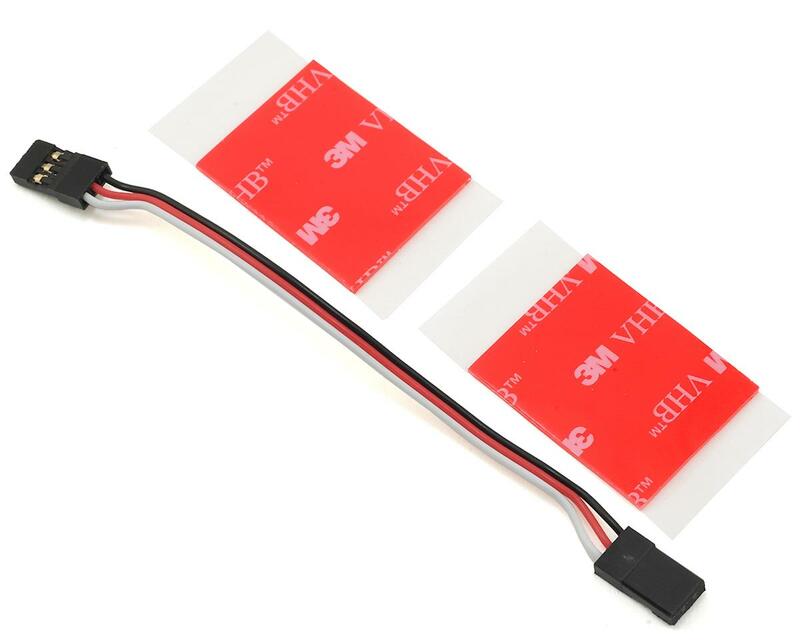 MSH Bluetooth module is required for iKon2 systems that do not have integrated Bluetooth. The iKon2 configuration wizard gets you flying fast with default configurations tuned for each model size. Pull every ounce of performance from your model with iKon2's advanced built in governor. Fine tuned from years of continued development. Utilize the built in logging to tune the governor even further, even if your ESC or Nitro has no native logging ability. iKon2 captures the data you need. Track the number of flights of the model, but also track the life of individual components, like gears and belts. Tweak to your hearts content. iKon2 gives you direct access to every tunable parameter in the system. Each parameter includes pop-up instructions to help inform you of how the parameter works. As your flying advances, now so can your ability to tune to your taste. Get every ounce of performance from your machines. My favorite FBL unit at the time. Switched from beastX and won’t turn back. Easy setup and very easy to tune. Integration with Spektrum is a another major bonus. Awesome, easy to setup, and many features. Love the blue tooth. I set mine up on my phone app.